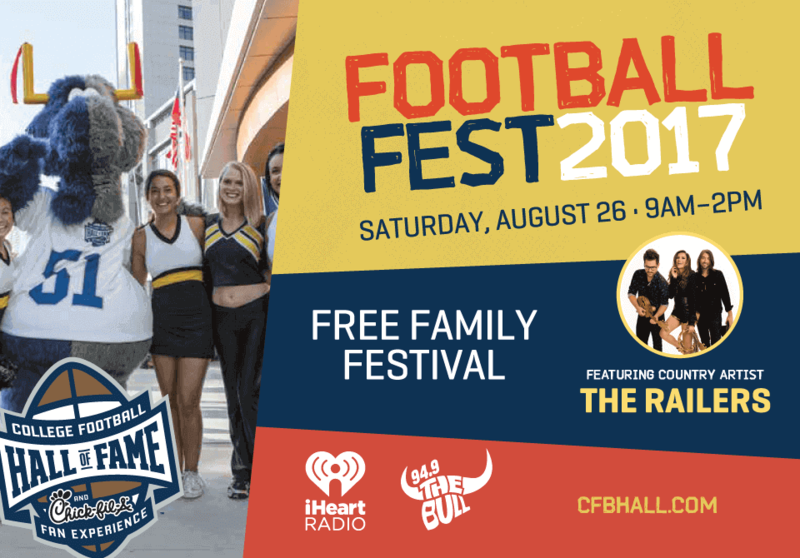 What better way to kick off college football season than Football Fest at the College Football Hall of Fame and Chick-fil-A Fan Experience. On Saturday, August 26 from 9AM until 2PM, bring your family to an outdoor festival held right outside of the Hall. Featuring The Railers, interactive booths, marching bands, mascots and more this event is sure to create awe-inspiring memories for the whole family.